Manchester United sacks David Moyes, less than one season into his six-year contract and put Ryan Giggs in charge until a permanent replacement is appointed. United confirmed Moyes' departure on their Twitter feed at around 8:30am on Tuesday, although reports of his imminent exit had been circulating for almost 24 hours amid silence from the club. A short statement thanked Moyes for "the hard work, honesty and integrity he brought to the role" during his time in charge. Giggs will take temporary charge until a permanent replacement is named, although there has been no word yet from United on the future of Moyes' backroom staff. Moyes was hand-p!cked by Sir Alex Ferguson as his long-term successor, but poor results undermined his attempts to build for a new era of success at Old Trafford. The Scot inherited a side that won the Premier League by 11 points and leaves them seventh in the table, already certain to miss out on Champions League football next season. 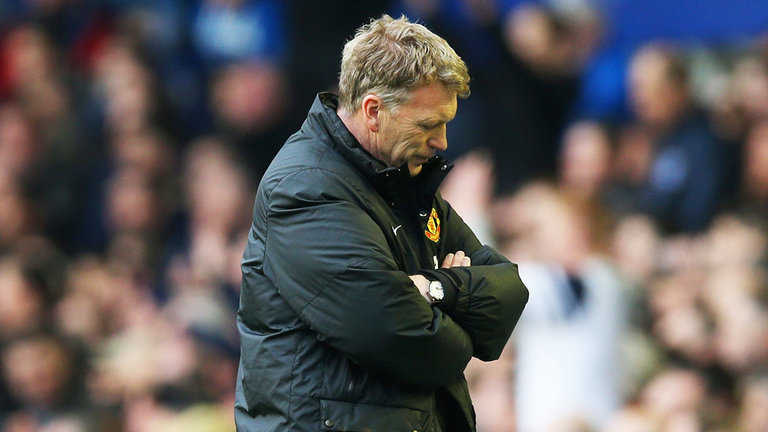 United are also guaranteed their lowest points total in the Premier League era, and Sunday's comprehensive defeat at Everton - the club Moyes left for Old Trafford - was a final humiliation. Moyes took just six points from 12 games against the six teams above United in the table, but as recently as Sunday he appeared confident he would be given time and money to reshape the club's playing squad. Moyes did sanction deals worth more than £60m for Marouane Fellaini and Juan Mata, but the task of spending a summer transfer fund reported to be in the region of £150m will now fall to his successor. The decision - and the way it appeared in the media - has been criticised by United great Gary Neville, who told Sky Sports News: "I believe in managers being given time. I think they should be allowed to complete their work. "The idea of giving people three and four and six-year contracts and then getting rid of them after 10 months is something that's foreign to me. "However, there's no disguising that the football this season has been poor. The results have been poor. As a fan I've not enjoyed watching it. I'm sure David Moyes himself hasn't enjoyed watching it and I can't think of many Man United fans who would have enjoyed watching it either." Neville also said United's players should bear significant blame for this season's poor form, while Sean Bones of the Manchester United Supporters' Trust pointed the finger at the club's owners. Bones said: "This has been done without class and dignity. It's wrong to brief journalists before speaking to the man himself. "It was a risky decision in the first place to appoint Moyes because he wasn't proven at the highest level - that decision is down to the Glazer family. "It's a results-based industry, but it's not been done in the right way and the Glazers haven't invested in the club at the right time." Sky Bet make Holland manager Louis van Gaal favourite to take over at Old Trafford with Borussia Dortmund boss Jurgen Klopp second in the list. Giggs is 6/1 to get the job permanently. Sky Sports News understands United have not yet approached any potential candidate and that Klopp's ongoing commitment to Dortmund means he is not under serious consideration at this stage.